If you are adventuring further away from paved and well maintained dirt roads, your feet will need more protection than traditional adventure-touring boots. The Forma Terra EVO Low's sole has increased rigidity for a higher level of off-road protection and also provides more durability for long distance stand-up riding. Heels and toes get external PU for tougher impact absorption and rider protection. The main boot structure is produced in oiled full-grain leather with FCS Ankle Support System to allow for maximum support without compromising touring comfort. 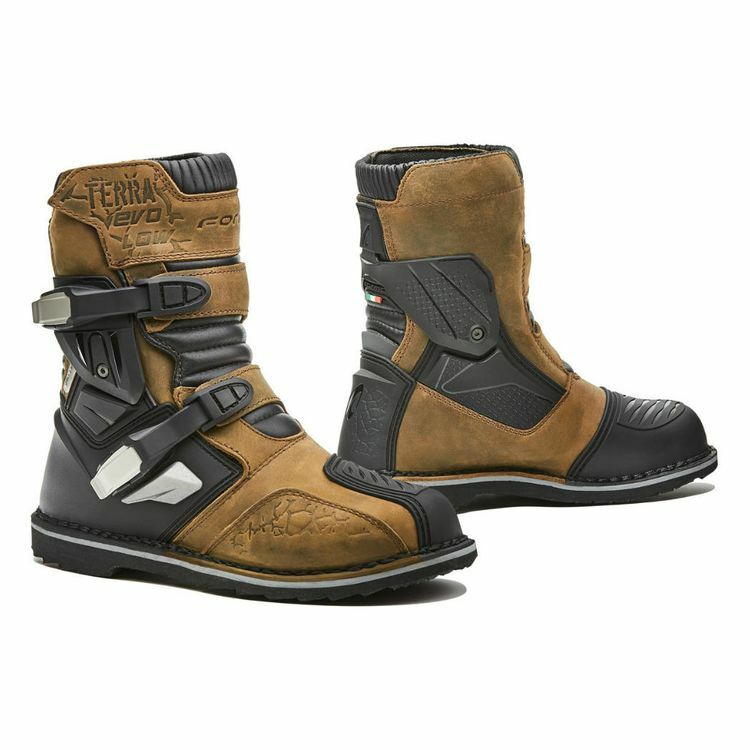 The Forma Terra EVO Low Boots are an excellent waterproof dual-sport option if you favor an occasional mountain trail.